If you are looking for quick and easy inexpensive tips to decorate your child’s room, then look no further. 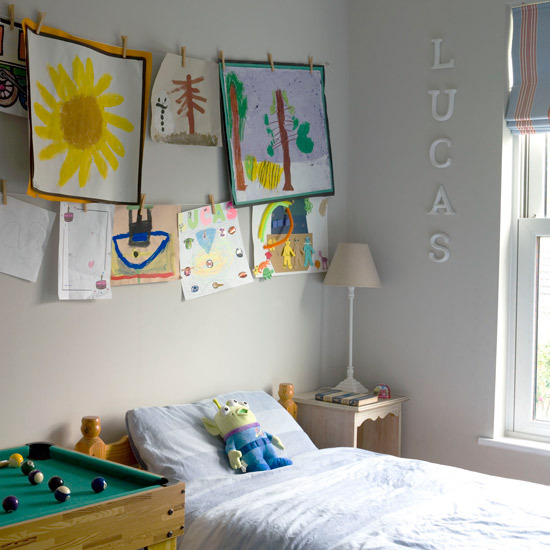 We have compiled our top 5 ways to decorate a child’s room. These tips are great for siblings who share. Designed to be fun and interactive, plus we made sure that its easy to do and to change – as kid’s change their taste constantly! A fun an quick way to display your child’s artwork. All you need is a simple length of string attached to the wall, providing an area to peg up a small interchanging gallery of artwork. 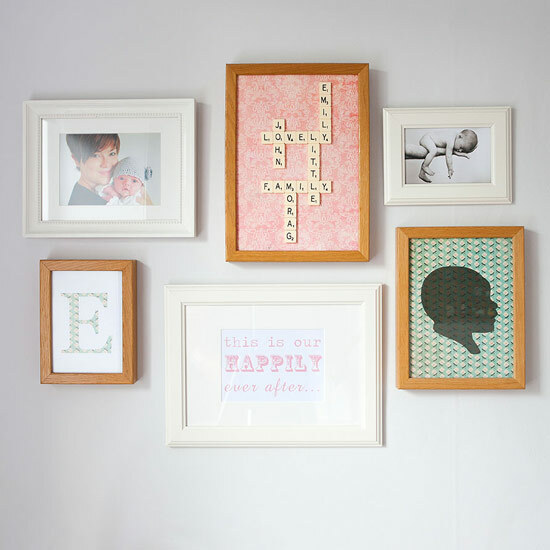 Pair up old unused frames and place them in a fun quirky electric style. The more mix-matched the better! 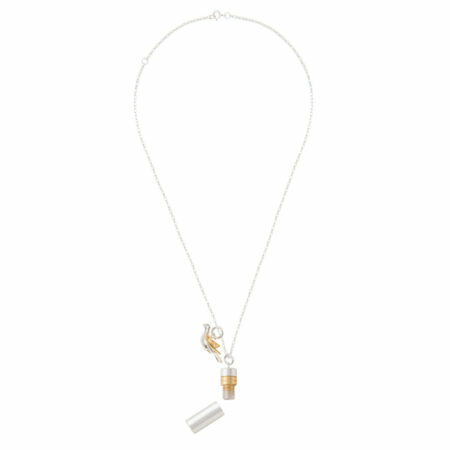 Display personal art or a keepsake. Try something fun like using old scrabble letters to join up family names. We thought this was ingenious idea from ComfyDwelling.com. 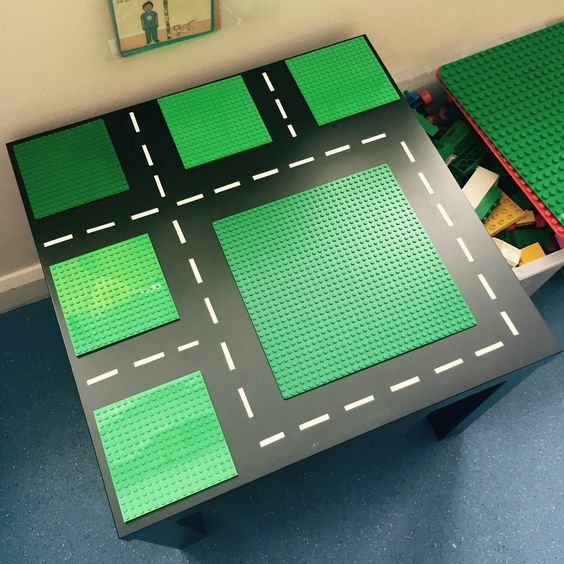 Take a inexpensive low height kids table (or small coffee table) and turn it into a Lego station. By colouring the base black and sticking Lego base boards and using white sticky labels as the road tracks, it immediately looks like a Lego city. Alternatively you can use train tracks. Our portable Talltape is a great fun interactive way of measuring your child’s height. 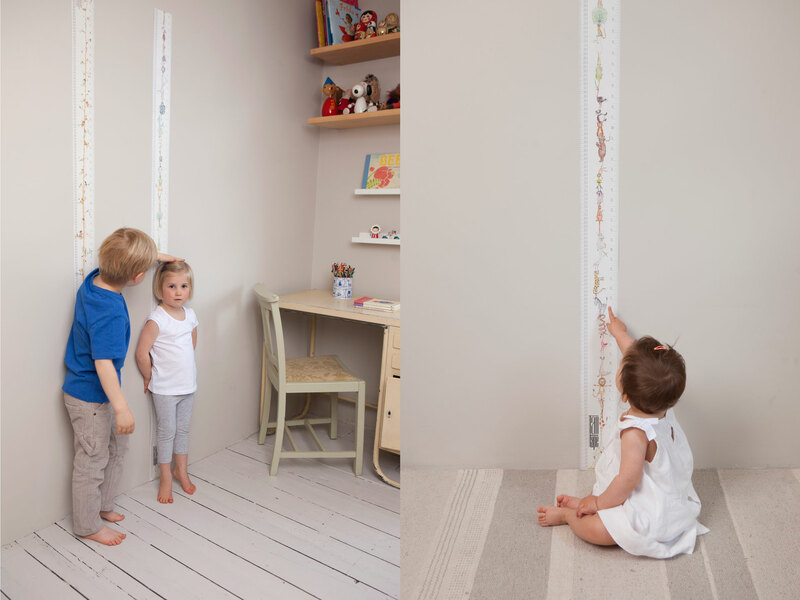 Made from a non-toxic base, our Talltape come with a pre punched hole so you can hang the tape or if you wish, use blue tack to stick to the wall, leaving no marks or damage – perfect for rental homes. Our tapes can be rolled up when they are not in use. 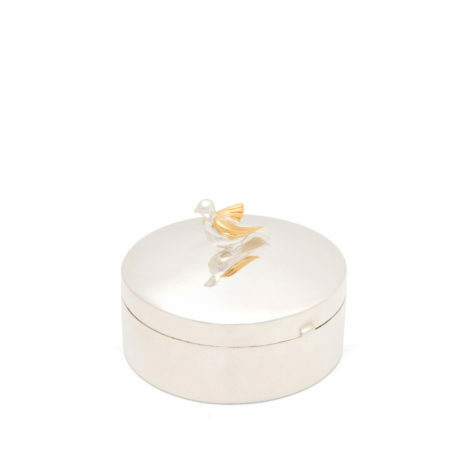 Each tape comes in a keepsake cylindrical case. Our tapes come in variety of designs from; dinosaurs, fairies and wild animals, perfect for fuelling your child’s imagination! And our tapes start from £10.99 making this a great affordable way of livening up your child’s room or as a great keepsake gift.